With Spotify for Mac, it’s easy to find the right music for every moment – on your phone, your PC or Mac, your tablet and more. Spotify is a new way to enjoy music. Simply download and install, before you know it you'll be singing along to the genre, artist or song of your choice. With Spotify you are never far away from the song you want. 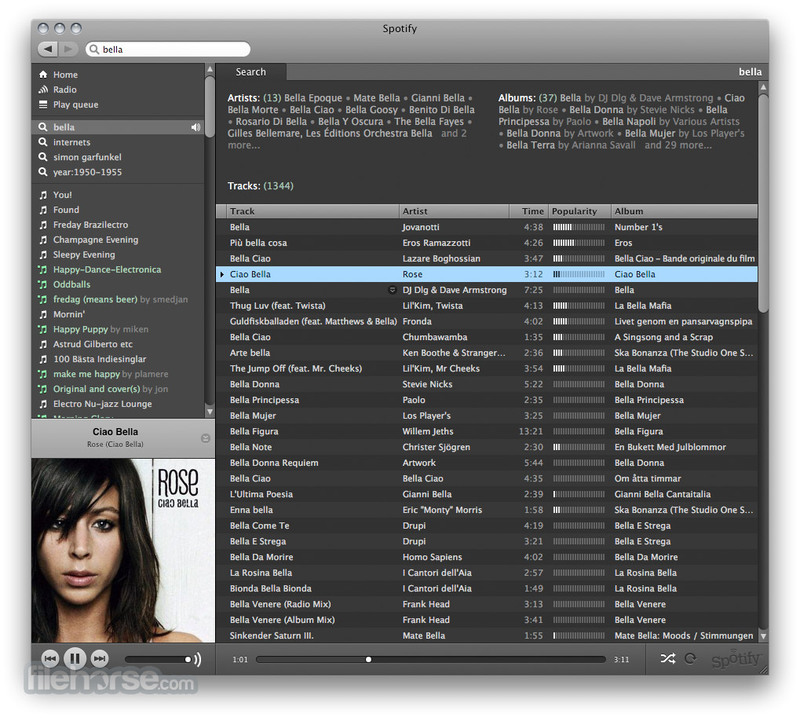 There are millions of tracks on Spotify for Mac. So whether you’re working out, partying or relaxing, the right music is always at your fingertips. Choose what you want to listen to, or let Spotify surprise you. You can also browse through the music collections of friends, artists and celebrities, or create a radio station and just sit back. 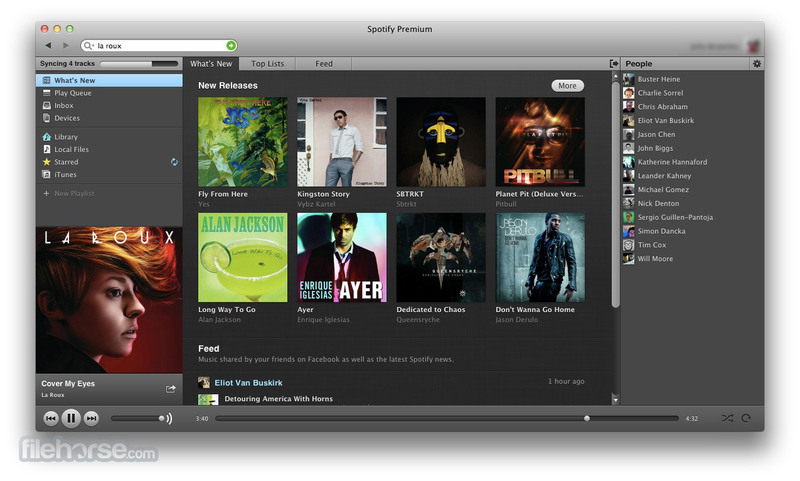 With Spotify for Mac, creating playlists is as easy as drag and drop. Each new playlist is saved to your account, and will be accessible from wherever you use Spotify. To us, sharing music is one of life’s great pleasures. That’s why developers made it so simple for you to share tracks and playlists with your friends. It's not only ‘simple’, it's one-click-simple. Now that you’ve got so much music at your disposal , you’ll need a seriously good library. So Spotify team is built one for you. A library that’s as clever as it is simple to use. Import your Facebook friends straight into Spotify for Mac, and you’ll be able to see what they’re listening to with your own live stream. 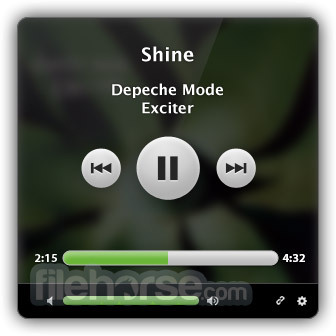 Share music with a single click. Note: 30 days trial version. Requires Spotify account. The unregistered version displays ad banners during its runtime.